Slidebar with Contour style design and swivel bracket. 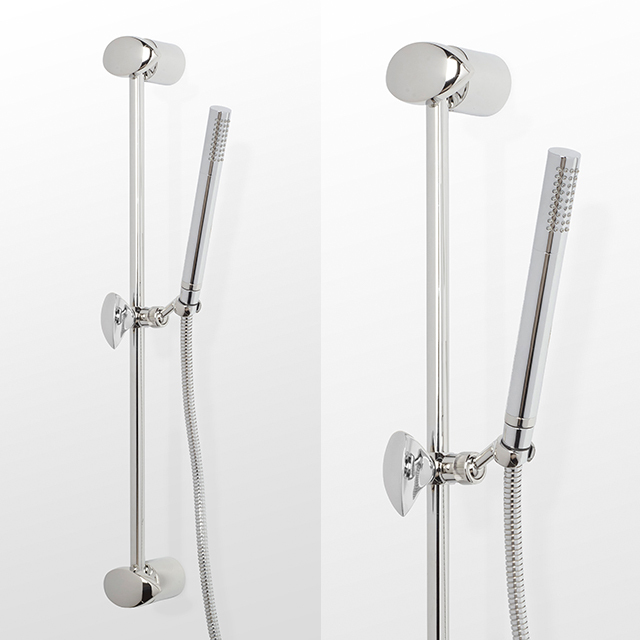 Handshower wand and hose available separately. Water saving 2.0 GPM handshower.